1. Connect your computer to the port 2 (except port 4) of the router. 3. Go to Wireless and then Select Security option at left hand menu. 4. Now select WPA, give wifi password at Pre -Shared Key option. 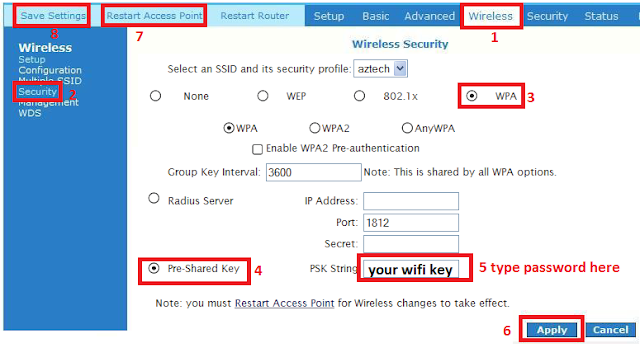 Click Apply button to apply the settings, click Restart Access Point option to save wifi settings and click Save Settings to save router settings. 5. Now change the wifi password in your computer. 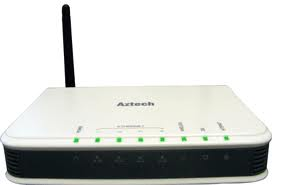 I m having trouble accessing Mywifiext.net Netgear Extender Setup for configure my Netgear Ex2700 Extender Setup.? How many wireless devices can connect to netgear wn3000rp extender at any time?